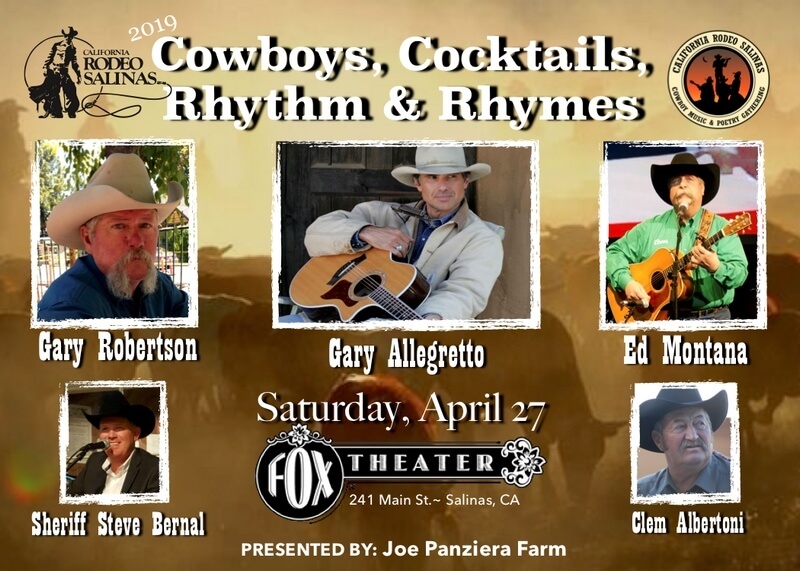 SALINAS, CA – For the second year, the California Rodeo’s celebration of cowboy culture, now deemed Cowboys, Cocktails, Rhythm & Rhymes, will head downtown Saturday, April 27th to the Fox Theater at 241 Main Street in Old Town Salinas. Doors open at 4:30pm, there will be an open mic session from 5:30pm-6:30pm and the show will start at 6:30pm. Enjoy dinner and a show by purchasing a Main Floor ticket that includes a meal by the Grower’s Pub for just $55 per person before April 18th. There are limited dinner tickets available. Balcony tickets are also available for $25 before April 18th and $30 after or at the door; balcony tickets do not include a dinner. 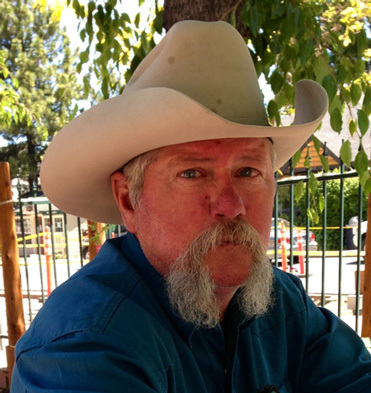 Tickets for Cowboys, Cocktails, Rhythm & Rhymes are available online at www.carodeo.com or in person at the Salinas Sports Complex Box Office which is open Monday through Thursday, 10am to 4pm. Part of the proceeds benefit the Foundation for Monterey County Free Libraries. The evening will also showcase three young poets demonstrating their creative writing skills.